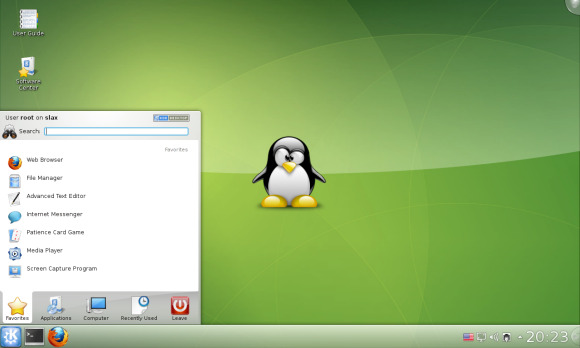 There's no denying 2012 has been a fruitful year for Linux distributions in general, but something about it has also seemed to favor the rebirth of distros we hadn't heard from in years. Two cases in point: Back in August we saw the widely celebrated return of Damn Small Linux after four years of silence, and just this week another very similar event happened. Specifically, following three years without any new releases, Slax Linux on Monday graduated to version 7.0. For those who aren't familiar with it already, Slax is a bootable CD based on Slackware Linux but with a wide variety of preinstalled software and a graphical user interface as well as recovery tools for systems administrators. Version 7.0 includes the newest Linux kernel along with the KDE4 desktop, the GCC compiler, and “lots of other stuff,” all in a download that's just 210MB or so in size. Slax is also available in more than 50 languages and includes translations, keyboard mappings, fonts, and system settings for each localization. Slax 7.0 is now available as a free download. In addition, however, you can order a 16GB flash drive with Slax preinstalled for $25. There's also Puppy Linux and Damn Small Linux, of course. But if you have some older hardware you'd like to revive, this could be a nice option to try out.